September always remains one of my truly favorite months. 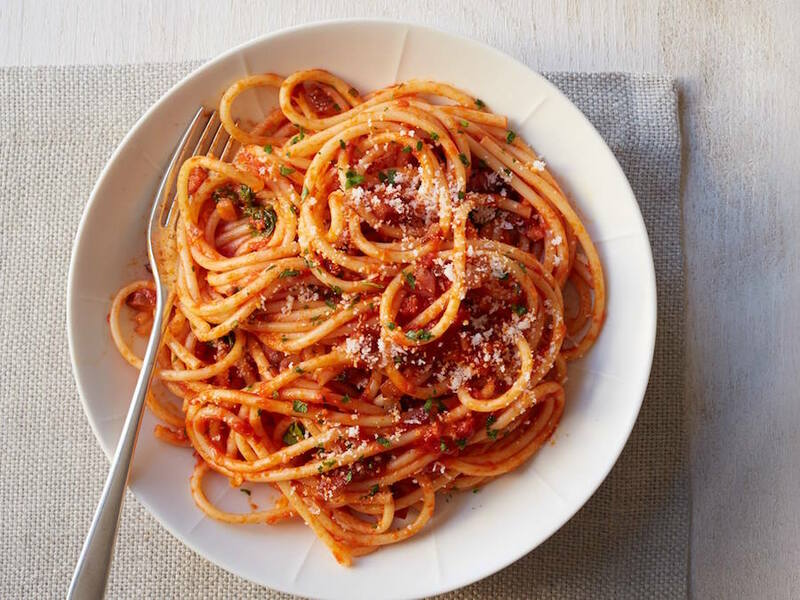 It represents Italy’s rich harvest period, a time of abundance or the hope of one during a country’s rich agricultural past. The cities swell with returning Italians, bronzed and relaxed after a week or three on the seaside. Kids ready for school, the buses filling up again. There’s a poignant energy that comes with the arrival of this month and to complete the pretty picture, you can bet your bottom dollar that there are plenty of events for us all to enjoy. 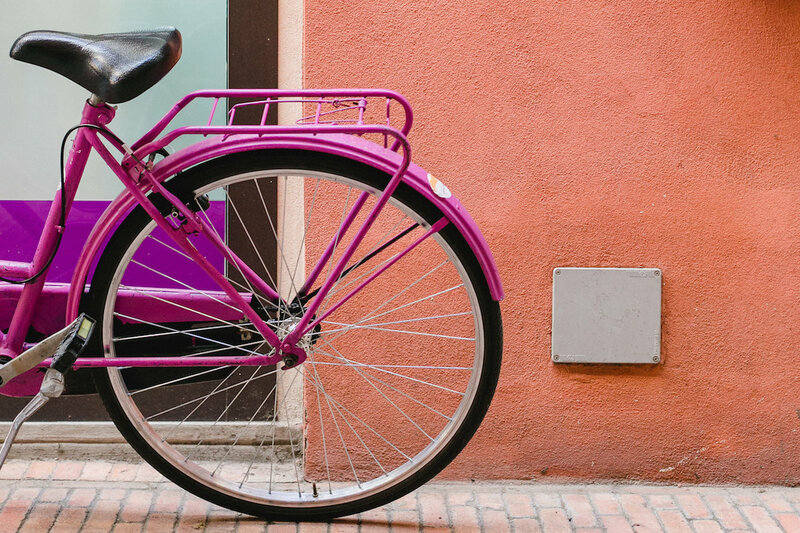 From a new contemporary art exhibit encompassing Palazzo Strozzi to the traditional festival of Rificolona, best known for the colorful paper lanterns. If you are studying abroad for the first time in Italy, I highly recommend checking out these 41 tips (and letting me know what you think). Also make sure to check out what the Yelp community is hosting. And lest we forget, a horrible earthquake devastated parts of Central Italy this past August and people still need your help. After the dust (literally) settles down, this is the more than ever to help out, donate, to those who have lost literally everything and probably someone they love. 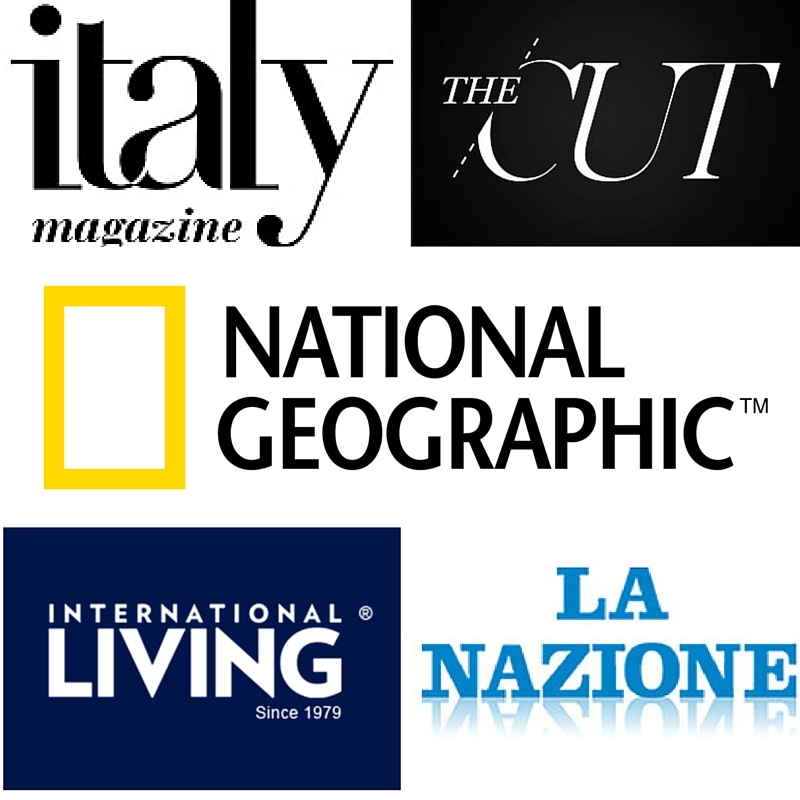 See how to help here, at ITALY Magazine we are constantly checking out ways to help, both financially and elsewhere. On a personal note, I will be in Rome for a week (5th to the 11th) and later in the Brittany/Normandy area of France to attend a friend’s wedding and to discover a coastline I know little about. In fact, I welcome any and all recommendations. I am excited to have more than just a weekend in the eternal city and I am happy to finally have a lovely little vacation with my poor husband who has had to work every single minute this past August, he is a saint. To September we go..
For info and reservations email or call Tel: +39 055 5678200, E-mail: rsv.vsm@belmond.com, Aperitif and buffet Ligure € 90 + VAT, excluding drinks. Food | Gelato Festival is BACK, September 1-4th, piazzale michelangelo. 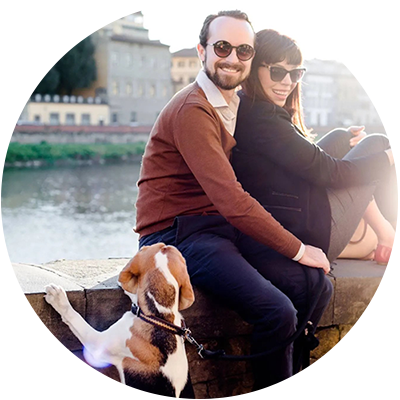 The festival that brings together man, woman, children and animals, the gelato festival in piazza michelangelo featuring more than 100 unique flavors in this 2016 edition! This time it’s the European final championships and I am so excited that my friend Alberto Bati will be represented not only for his San Lorenzo gelateria “My Sugar” but also as an individual on behalf of Qatar airways for that beautiful rose gelato. Time 12pm-10pm nightly. Get your gelato card online and find out more information here. If you haven’t yet visited the British Institute of Florence’s Harold Action Library, this needs to be remedied straight away It’s one of my personal favorite places in the city, a warm inviting place that offers up anyone a chance to gain a little culture in Florence. You can take a month long course, stay for a week, or just pop in for a selected session (50€). Their course this September is the “Dawn of the Renaissance” which covers the dramatic awakening of Italian art during the 14th century, particularly in the vibrant, independent city republics of Florence and Siena. Against a backdrop of rapid economic growth, turbulent political change, famine and war, artists such as Cimabue, Giotto.. Check out the full program here. Also, for those interested in the 50th anniversary of the great Arno flood in Florence, the British Institute will be hosting a special series of courses “Arno unleashed” surveying the events of this terrible day. The coolest Medici Dynasty Show on Planet Earth! Almost 300 years later, the last two heirs of the Medici Dynasty are brought back to life in a multimedia masterpiece of “infotainment,” that combines digital reproductions of the family’s extraordinary and invaluable artistic patrimony with live theatrical performances. The Show honors the memory of this legendary family and its artistic, scientific, cultural, and spiritual contributions both to the society of its time, and to society today, as it has served as a source of inspiration across the world. facebook. There are five shows every day except Monday and Friday , duration 1 hour. All shows will be held in English. where? at the former Convent of Sant’Onofrio delle Monache di Foligno (via faenza 48). More info: email info@medicidynasty.com. full 30 €, students (to age 25) 20 €, children under 12 free, family options are also available. official event website. I love Italians, they make a festival out of anything and everything. And this one is about bread. 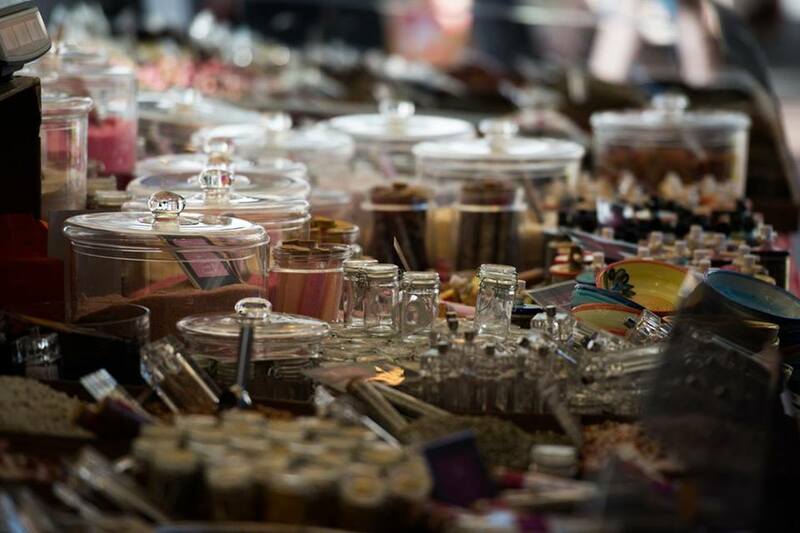 In its 33rd edition, the first weekend of September will feature an open-air food market in piazza santa maria annunziata, all-day long (9am to sundown). More info can be found here (In Italian). This appears to be an open exhibit, music and more in a vaguely-described event (seriously why can’t they ever just explain what they’re doing?!). However it does sound cool if you’re around Florence this next weekend. 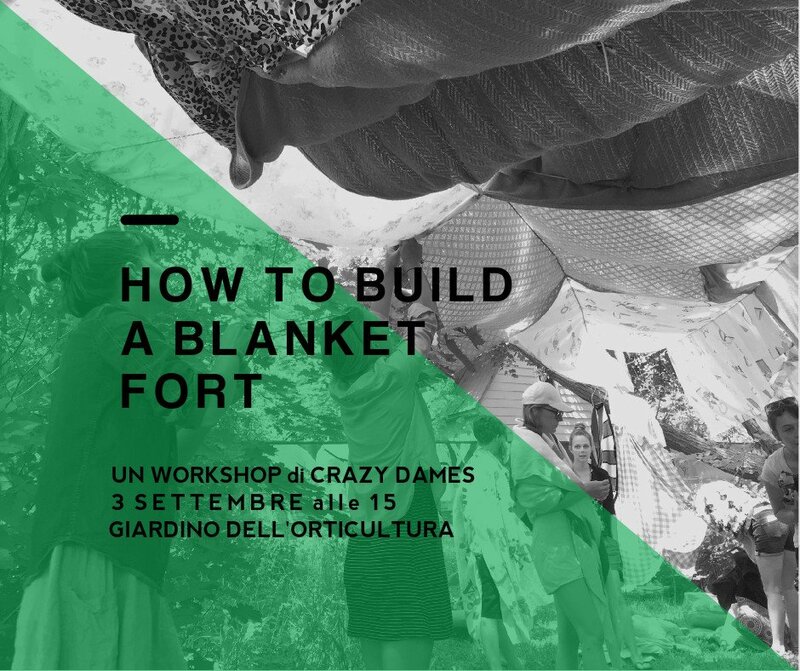 “After several iterations in Canada, for the first time in Florence, Crazy Dames will host the workshop “How to Build a Blanket Fort” which invites adult participants to work together to transform an area of the park into an epic version of a quintessential childhood space. Participants are all encouraged to bring blankets. While re-engaging with their child-like perspectives through this experience, the group will work together problem solving aesthetic, function and spatial preferences and choices. TO PARTICIPATE IN THE WORKSHOP or for more information: thecrazydames@gmail.com” Um how incredibly fun does THIS sound? Thank you Anna Rose from CPIF (Creative People in Florence) for inviting me to this event. You can find out more about it here. First free Sundays is something I have been including in every monthly lineup because how amazing is it that in a city with so many museums, they offer at least one day where you can visit some of the most important places in town, for free. After May day holiday and #nottebiancafirenze (which ended up being pretty lame), head out this Sunday for a little art & culture. I recommend visiting lesser-known but incredible places like the Bargello Museum, Palazzo Vecchio and the Brancacci Chapel near piazza della carmine. FYI the Palazzo Vecchio is open today from 9am-11pm, Santa Maria Novella: 1pm-5:30pm, Archealogical area at Palazzo Vecchio: 9am-11pm, Museo Novecento 1pm – 5pm, Cappella Brancacci in Santa Maria del Carmine: 1pm to 17. More info can be found here on which museums are free and open. Now this is exciting, apparently every Tuesday evening the Uffizi will partner with Firenze Musei and organize a fun summer festival. Between 7-10pm these evenings, guests can visit the artworks while enjoying a selection of performances. This is a seriously cool initiative. The price is the same as a regular entrance ticket and this gives the local artistic community a wonderful platform to showcase themselves. More info can be found here. 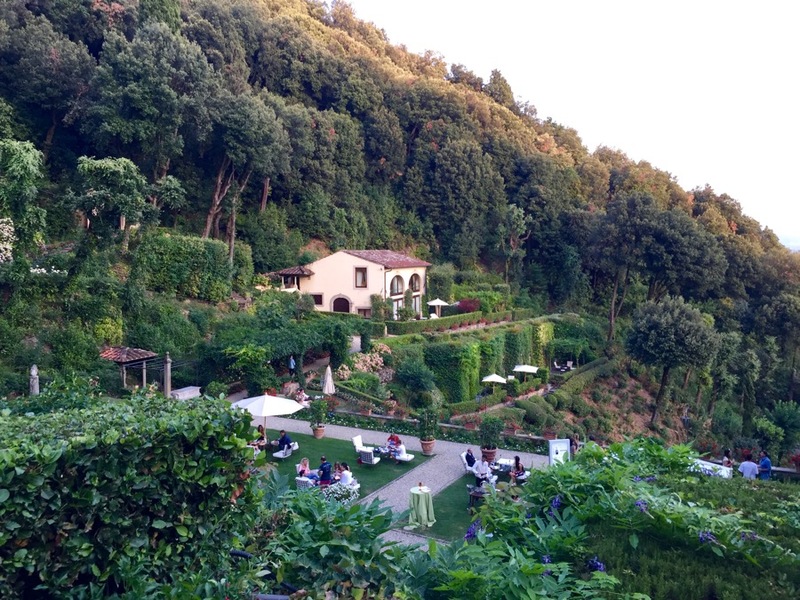 My favorite local food festival is BACK and I am gearing up my stomach for what will hopefully be return trips to the neighborhood of Girone, in the suburbs of Florence, to try everything truffle. In its 32nd year of existence, volunteers from the blue cross organization come together to serve truffle pizza, truffle bruschette, pasta with truffle, truffle sausage – I sound a bit like Bubba Gump but you get my drift. 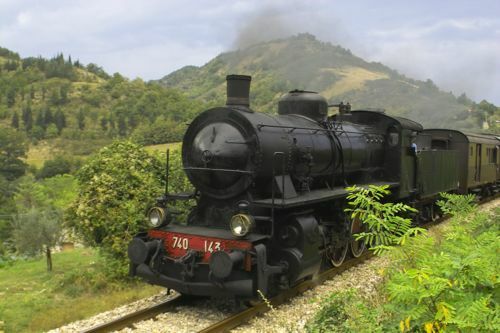 It’s cheap, fun and easy to get to via the bus line 14 (towards Girone) which you can catch at the station, it takes about 25 minutes to get there and it is the last stop. More info is here (in Italian). You sit at communal tables, the light is way too fluorescent, and there are plenty of Italians. They have a new structure this year which elevates the “sagra” feel this tear. I love it! address: head to Piazza Sandro Pertini, Fiesole then take a left to find the new structure. A few friends in Florence are organizing a special dinner on behalf of the Earthquake victims of Central Italy and I think that’s pretty awesome. For more details contact lorenzofanti@asaplimited.com or info@travelitalianstyle.com. Also check out their FB page. I could hardly not include my local neighborhood’s annual block party where for three consecutive evenings, our tiny little beautiful square turns into a place of live music, poetry and events. More details can be found here. This traditional event celebrates the birth of Virgin Mary (a day early) and is always fun to watch. For one night, a Florentine square is filled to the brim with kids carrying various paper lanterns (representing out of town patrons that once used lanterns to light their way) that they attempt to destroy using the Italian version of a spit ball. Another big name this summer in music is the great Cat Power, originally from Atlanta who on Wednesday, September 7 will use Florence’s Cascine Amphitheater as her stage for this mini-tour. Charlyn “Chan” Marshall’s music represents an intimate and minimal sound, dubbed “dark-folk”, which over time has assimilated elements of rock, gospel, blues, country and soul, to the rhythms electronic and funky atmosphere of the last productions. In Florence you will experience her solo version featuring songs from her album “sun”. Tickets start at 25€. In 1296, work began on what would be the most important monument in Florence, the Duomo cathedral. This day is naturally marked each year, a tribute was paid to ‘Saint Mary of the Flower’. If it’s anything like last year, the public will be able to visit the special Duomo workshop (on via dello studio), typically only open for private tours, it is the place where the art work of the cathedral, bell tower and baptistery is kept. Also, entrance to the baptistery will be free for residents of Florence. When I get a link to share more info, I will! Perfume | International fair event, featuring the best in artistic perfumery. September 9-11th, Stazione Leopolda, 10am-6pm. Fair all about perfume, so plan on getting a little nosy (ok that was bad). An observatory with its sights pointed on olfactory culture. There is a rich tradition of perfume making in Italy which makes this an interesting event for all. More info here. As usual Italy’s Partito democratico or PD for short has organized their annual “festa del”unita” which is essentially a carnival in Florence’s largest public park, the Cascine. It would be hard to miss if you are nearby due to the bevy of carnival games (including a poor-mans London eye). What I love about this fair is that they typically have pretty awesome food stands and I had the chance to have a look earlier this week. They even brought the 1950’s American diner and the usual suspects of Brazilian BBQ and Italian street eats. For incoming students studying abroad this semester, this is a great chance to see some real-live-locals after the August exodus. Here’s the full program. I spy with my little eye a certain 1950's American style diner set up in Cascine Park. Naturally this means #festadellunita must be on with a carnival-like atmosphere until September 11th. 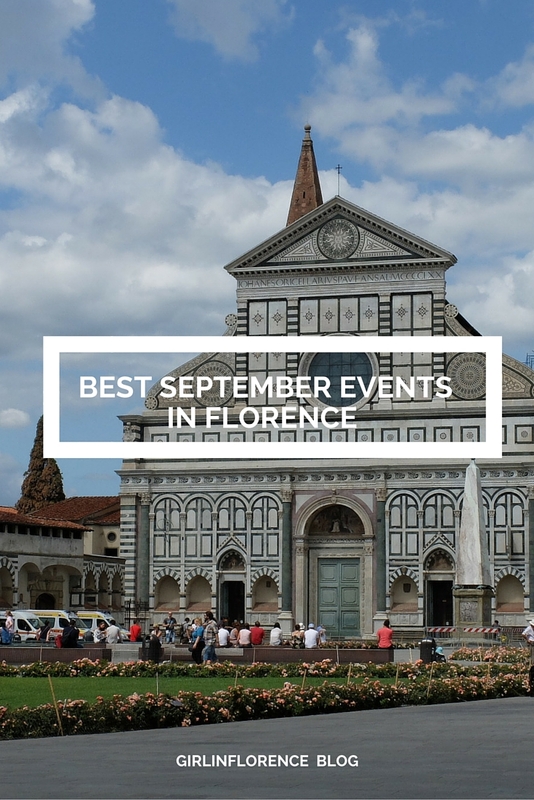 🍴🍔 Check out my blog #GirlInFlorence for a full list of fun September events in #Florence coming out tomorrow. It's a long one..
For lovers of electronic, techno and house music, these are going to be the best three days of your September. Three different locations in Florence will house three nights of electronic music, ending with a blowout party in the Fortezza di Basso on the 10th. The fun is set to kick off on the 6th of September with drinks at Easy Living Arno beach. More info here. Live di Backwords will present tre, his latest album just released. Following on stage is Greg Haines, a young musician from the school of the great classical masters of contemporary and electronic varieties. His music is a harmonious blend of mellow piano melodies, delicate cello and electroacoustic sounds synthetic textures, suspended between classical and experimental electronic minimalism. On stage, Andy Stott, appreciated throughout Europe. Ryan Elliott will go up on stage, DJ and remixer born and raised in Detroit and the legendary young Italian-Venezuelan talent Ricardo Baez, who will open the evening. Live Ilario Alicante and Speedy J, born Jochem Paap, one of the pioneers of techno that thanks to its mix contributed to the spread of the genre. Next to him, to turn on the dance floor, the historic resident Teo Naddi and Wooden Crate, the Florentine duo, formed by David Rosafio and Joseph Gonzalez. The idea comes from a group of local shopkeepers and business owners who are coming together for a great cause: to support the Meyers Children’s Hospital Foundation of Florence. Today, Meyer is a reference point for national and international pediatrics for research, innovative methods of care and the child’s reception. The cost of the evening is € 50 per person, the proceeds will be donated to the Meyers Children’s Hospital Foundation, for play therapy projects, smiling clowns, music, puppies and activities for the Game Room. More info can be found here. Booking link coming soon. In collaboration with the Conservatorio Luigi Cherubini, at Villa Bardini, (address: Costa San Giorgio, 2) enjoy a series of beautiful classical concerts (sax, piano, guitar) in one of the most majestic places in the city, and one of my favorite gardens in town. This month’s appointments will be on the 6th, 13th and the 20th and each performance will follow with an aperitif (8€). More info can be found here. 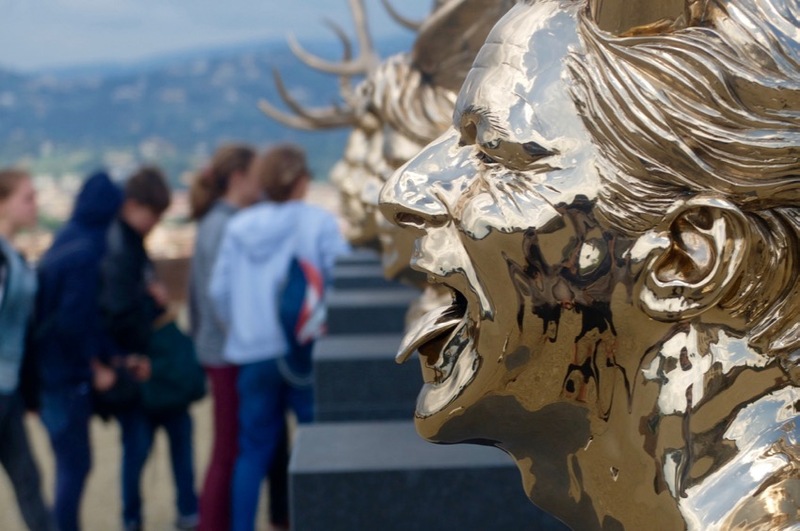 Art | Jan Fabre At Forte Belvedere, Ongoing, Free to go! The Forte is back! Already open and showcasing over 60 works of Belgian Artist Jan Fabre including films showcasing his past performances. The exhibition will remain open until October 2nd and will be open daily (closed Mondays) from 10:30am – 7:30pm. I had a walk through recently myself and really enjoyed it, one tip though, don’t lay in the grass or they will yell at you. address: Via di S. Leonardo, 1, 50100 Firenze. In Villa Bardini, home of the Bardini and Peyron Foundation, there is currently an exhibition entitled “Double Portrait – Antonio and Xavier Bueno, alternative to reality between avant-garde and figuration” by Stefano Sbarbaro. The show brings together brothers Xavier (1915-1979) and Antonio Bueno (1918-1984), in an exhibition with over 130 their significant works. In this workshop for writers of fiction, memoir or non-fiction, participants will be “talking story” and finding ways to enhance the stories they write. This is an interactive workshop for beginner to advanced writers, a chance to share your work and consider a deep understanding of how different narrative genres can help construct story elements and characters arcs; give texture to a story that readers recognize and desire; and how to “give them more” so that your work remains uniquely yours. – How narrative genre elements (as opposed to marketing genres) can help the writer in creating multi-dimensional characters and stories. – How to think about balancing the narrative (or story) genres in the writing project. Each person can bring 3 – 5 pages of the beginning of a piece of writing, which the group will workshop and talk about with regards to structure, narrative genre and character. A €10 donation is required on the day and refreshments are provided. Reservation required as numbers are restricted. Please book your spot by contacting administrator@stmarksitaly.com. address: via Maggio 16-18. More info can be found here. Imagine Paris in the 1800’s, liberty style, with cheese and food stands, along with flirty soaps and lacy bath towels. Now it is all coming to Florence and I am so excited, you have no idea. I adore French everything and Nico and I will surely be down here for a sniff or three (ok well, that’s Ginger). More info can be found here. A new exhibit that I’m actually quite excited about starts late this September (the 23rd) and runs until January 22, 2017. It feels crazy talking about 2017 already. From Palazzo Strozzi: “The exhibit will present Italy’s first major retrospective dedicated to one of the world’s most celebrated and influential contemporary artists: Ai Weiwei. Libero, who is a dissident artist with a leading voice, he is known world-wide as much for his challenging contemporary art practice as for his political activism. In one of my favorite art-deco buildings in Florence, the lovely tepidarium near piazza liberta, will play host to an artisan market this September featuring a variety of handmade goods. Stay tuned via their FB page for the program. Address: Via bolognese 17, Florence, Italy. Cinema | Original-Language Movies at The Odeon. When? The month of September. Where? Odeon Cinehall, piazza strozzi. After a brief hiatus this August, our beloved original-language cinema, the Odeon is back on track with a superb list of fall options. And there is plenty to see this month including ‘Escobar: The Lost Paradise, Heaven’s Gate, Suicide Squad, Bridget Jones Baby, check out the program here (October too), you can keep checking the Odeon website for the next program). Price: 8 euros for a normal ticket, or you can get a pass for 8 shows for 44 euros which is what I typically do during the colder months. Workshop | Organic. Vegan. Aesthetic, Gradera, Italy. September 3rd and 4th. 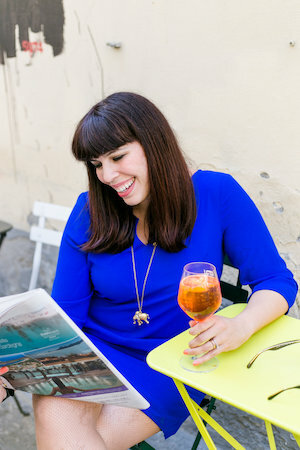 I had the pleasure of meeting the fun gals of EaTravel team last year who are helping to organize an exciting 2-days workshop in Gradara (Marche). Together with Valentina and Zaira, they are working on a programme of a cooking, styling and photography gathering in a beautiful country house in Gradara (Le Marche) where Valentina’s project Hortus was once born. Read more details on how to join the fun here. Food | “Cookstock” in Pontassieve, Tuscany, September 9-11th. If there ever was a reason to visit Pontassieve, a pretty Tuscan town an easy 30 minute train ride from Florence’s central train station, “cook stock” would be it. 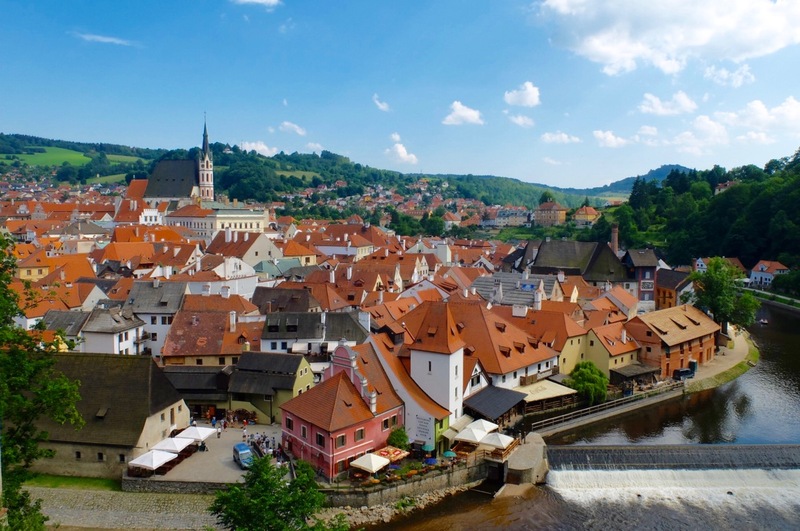 Street food, cooking lessons on the medieval bridge and a hell of a lot of people making a sleepy suburb into the greatest thing since prosciutto (better than sliced bread – right?). The Ruffino winery will be open to the public for a visit, street food will be omnipresent, and lastly a cool exhibit showcasing nautical maps. The Florentine‘s Helen Farrell has the full updates on this exciting weekend here. 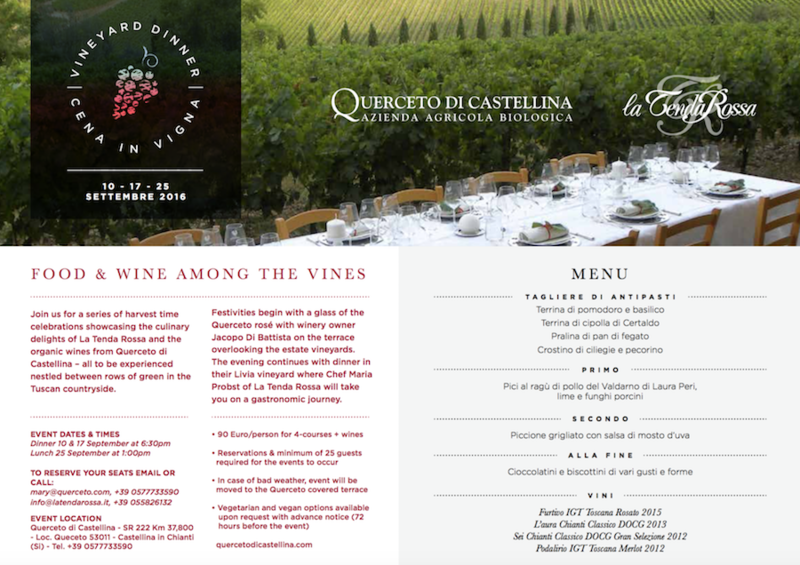 Wine | Vineyard dinners at Querceto di Castellina, September 10, 17th & 25th (lunch), Castellina di Chianti. 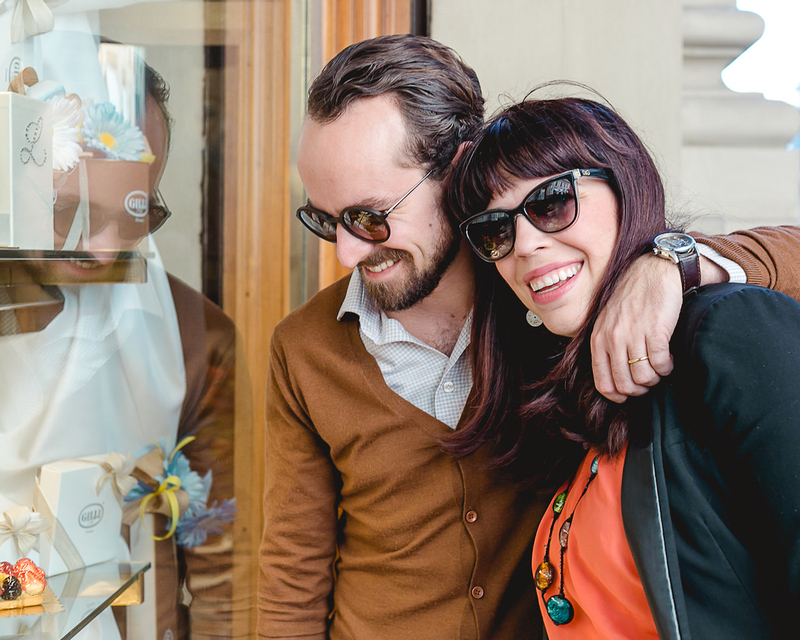 Nice post on upcoming events in Florence. I’m extremely jealous that I’m not in Florence right now. A gelato festival?! Sign me up. Ciao Holly! Thank you so much for your kind words. I appreciate it!